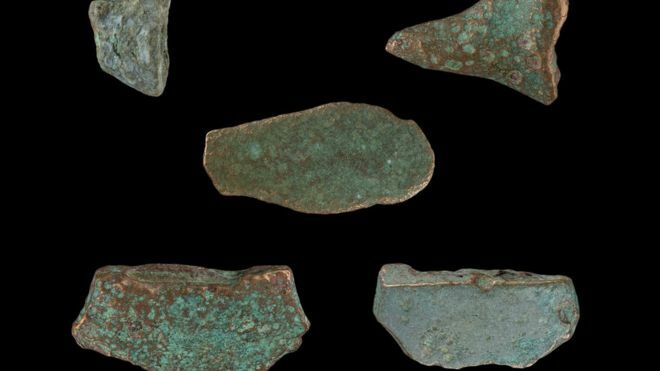 Fragments of an axe dating back almost 3,000 years are among finds that have been declared treasure. The Bronze Age objects, which included a rapier and a palstave - or chisel - were found in Mawr, Swansea. Three other finds by metal detectorists in Swansea included a medieval silver brooch, a 16th Century silver ring and a 17th Century gold posy ring. Coroner Colin Phillips declared all the finds treasure and they will go on display at Swansea Museum. Dr Mark Redknap, head of collections and research at National Museum Wales, said: "The finds of the brooch and finger rings are important pieces of evidence which inform us about the circulation of medieval (and later) jewellery fashions around Wales." The four finds ranged in date from about 900 BC to the 1600s. Emma Williams of Swansea Museum said: "They will add yet more detail to what we already know about the lives of Swansea's past inhabitants and we look forward to being able to display them for the benefit of everyone that lives here now." 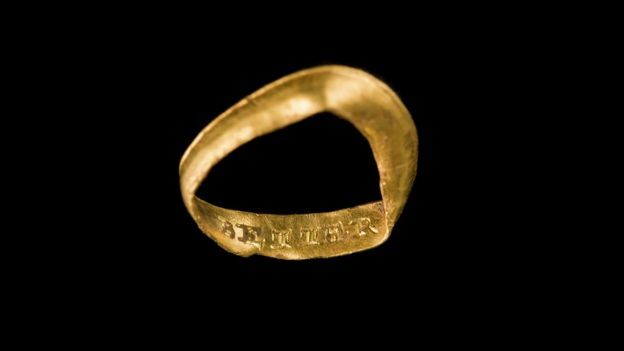 The 17th Century ring had an inscription on the inner face reading "I wish it better"
Colombia Finds Treasure Laden Ship!